Arranging a wedding can have many stresses involved. Bringing the whole event together with all the time and resource challenges that come with it can have an exhausting effect. Needless to say, nerves for the best man to do his speech, and the bride or groom be able to actually relax so they can enjoy the day. 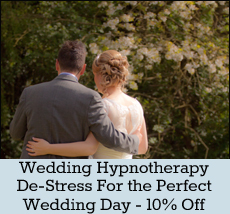 Why not give your best man or bride a voucher to enjoy hypnotherapy before the big day – Relaxation may be just the ticket. Or help the best man or groom with a confidence hypnotherapy session to do Public Speaking – that can be quite nerve racking for many. Perhaps someone may stutter and feel scared that they will get embarrassed on the day. Hypnotherapy can help overcome this and help with so many other issues. Wedding Days should be enjoyed. Contact: enquiries@jacquelinegleesonhypnotherapy.com for more info. With our beautiful summer you will all want to get out there and play the best you can. 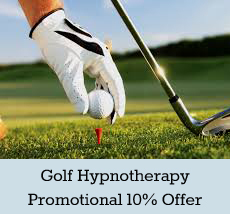 Why not invest in some hypnotherapy to help you play better golf and be more focused. The positive impact and results of Hypnotherapy in the sports world is spoken of constantly. Tiger Woods invested in Hypnotherapy for Golf. Perhaps you suffer also with Hay Fever and its getting in the way of your game? You may have your own issues getting in the way of playing the most amazing golf? Hypnotherapy can help.